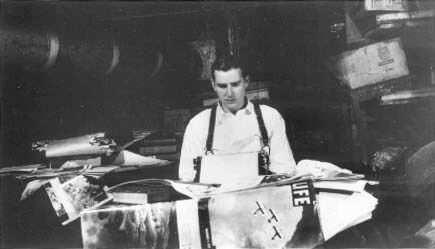 John Wesley Shockley, the author's maternal grandfather, inspired the main character of Raintree County. 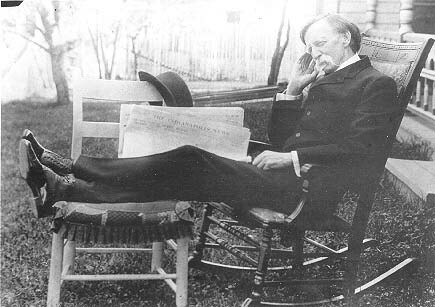 He was photographed May 28th, 1902 with a copy of "The Indianapolis News" in his yard at Straughn, Indiana, renamed Waycross as the setting of the Day sections of the novel. Elsie Shockley, the author's mother, in a college portrait, 1899. Elsie aspired to a life of intellectual and spiritual ideals. For her day she was a feminist, but her progress toward a degree would soon be interrupted by marriage to Ross Lockridge Senior and childbearing. 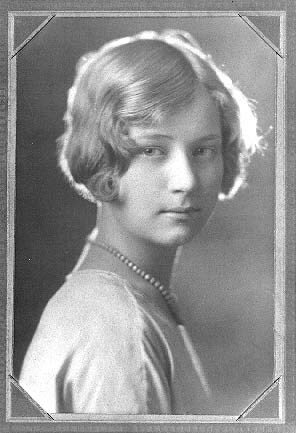 Vernice Baker, the author's wife, in 1928, aged fourteen. In "Raintree County" she would inspire the portrait of Nell Gaither. 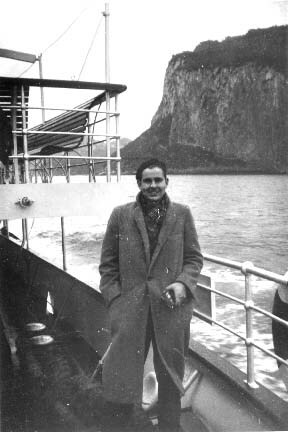 Ross Lockridge, Jr. in the Bay of Naples enroute to Sorrento and Capri, January, 1934. "Natural phenomena of great might and giant proportions such as Niagara Falls may be described with crashing similes, but the delicate loveliness of the Blue Grotto must be seen, whereupon it can never be forgotten or described," he wrote his folks. 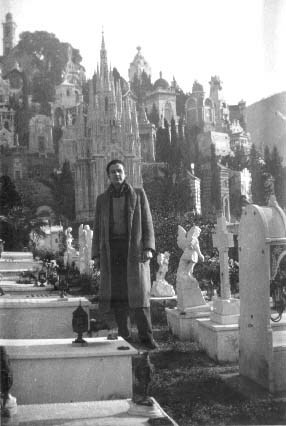 Ross Lockridge, Jr. in Campo Santo, Genoa, winter of 1934. His inscription on the back of this photograph draws attention to the "suddenly resurrected corpse who has just burst from his tomb with hideous aspect." He loved cemeteries and recited Gray's "Elegy" on this spot. 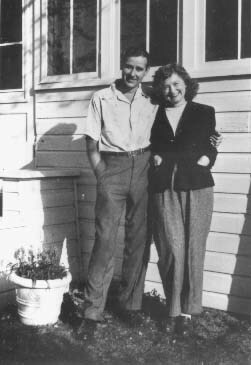 Cousin Mary Jane Ward visited the Lockridge family in Manistee, Michigan in the fall of 1946, the year her autobiographical novel, "The Snake Pit", became a national bestseller. 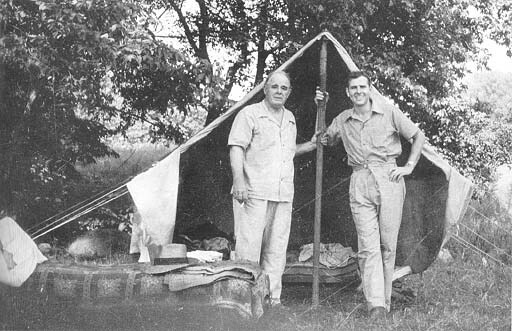 Camping on the old Lockridge farm was Ross Senior's favorite diversion. 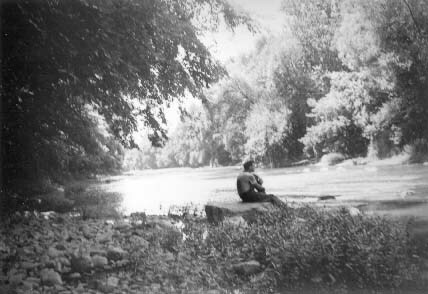 He and his son are photographed by three-year-old Ernest in the summer of 1942. 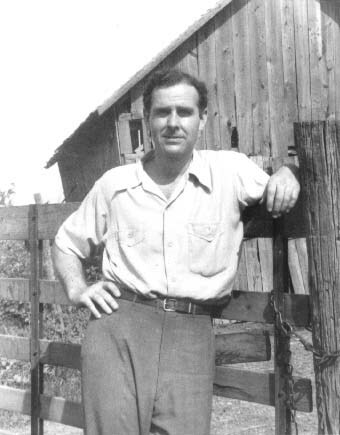 Returning to Eel river with his father and Ernest in the summer of 1946, Ross Lockridge, Jr. pondered the fate of his Dream Section and the revision ordeal that confronted him.